With advances in video-capture technology and the introduction of more affordable mobile devices, many teachers are changing the nature of their instruction using online videos. Some are even “flipping” the classroom, assigning lectures for homework, and reserving in-class time for what were traditionally homework assignments. Flipping the classroom is an “‘inverted’ teaching structure in which instructional content is delivered outside class, and engagement with the content … is done in class” (Ojalvo and Doyne). Flipping instruction is part of a larger movement to blend or disrupt the classroom, using online technologies to take learning out of brick-and-mortar buildings and into students’ everyday lives. Flipping your classroom is so much more than providing your students with access to online video tutorials. The concept is much more embedded in providing students differentiated experiences, extending beyond the classrooms more effectively. It allows teachers to much more easily engage their students in small group and or one on one (Meech). While Salman Khan was not the first to consider flipping the classroom, he is the most famous due to his disruptive Khan Academy website, famously championed by Bill Gates, and featured in a TED talk. On this website, Khan has created targeted instructional videos on a variety of instructional topics. In addition to providing videos, the site also includes practice and review questions. Teachers can create accounts to keep track of student progress on the site. However, even the Khan Academy realizes the importance of the brick-and-mortar school in their vision for the future. As “blended learning” becomes “the latest buzzword — that is, a blend of offline and computer-mediated/online instruction — Khan Academy is now eyeing building its own school” (Watters, 2011). Are screen-captured lectures guilty of enforcing old pedagogies? Teachers who choose to create their own videos quickly learn that filming, editing and publishing lectures can be quite complicated. In addition, after creating videos to be viewed as homework, teachers still have to prepare lessons to fill all the class time now available to them. In some ways, flipping the classroom could theoretically double the teacher’s work load, and some teachers may not have enough time at their disposal. Another important factor to consider is the digital divide. Many teachers cannot assume that computer or Internet access are available from home. In order to truly flip your class, students should ideally have consistent Internet access from home. While mobile devices are becoming cheaper, not all students have the capability to stream video easily over these devices (Nielsen). Embed or link to videos on content management systems. Create an account, and assign students videos and assessments using Khan Academy. 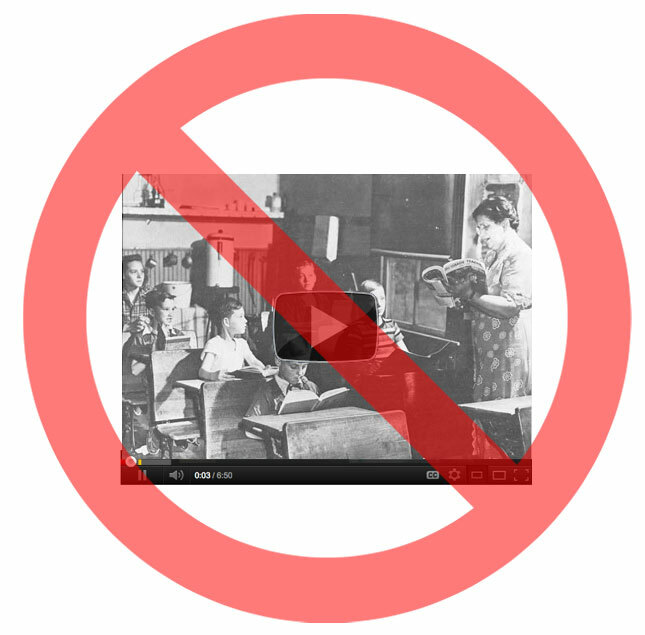 Consider creating your own learning objects by creating screencast videos easily. Flip your own professional development (Truss). These are just a few of the tools that teachers can use to create flipped lectures. Instead of developing elaborate videos using external video cameras and tripods, consider using your computer’s built-in webcam, or a screen-capturing software. Jing free (limited)/$14.95 per year – TechSmith, the makers of Camtasia, created this lightweight, easy-to-use screen capture software with both free and paid accounts. Screenr free (limited)/variety of paid options- This web-based video recording system allows you to make webcasts without downloading any software. iShowU $29.95 – This Mac-only screen-casting allows you to easily record your screen, as well as your video camera and microphone. Camtasia $99 – One of the first screen-capturing tools, TechSmith’s Camtasia offers versions for both Mac and PC and is ideally suited for your screen-capturing and editing needs. ScreenChomp (for iPads) – This app by TechSmith allows you to turn your iPad into a screen-capturing tool. Skitch – This Mac and Android app allows you to easily annotate images and other still-pictures for learning. WeVideo – This cloud-based video editor allows you to collaboratively edit videos online. Present.Me free(limited) / various paid accounts (for PowerPoints and Video) – If you don’t want to deal with screen-capturing software, consider uploading a PowerPoint to Present.Me, and then film yourself going through the presentation. Present.Me displays your video next to your PowerPoint so students can follow along. Slideshare (for PowerPoints) – Don’t have time for videos? Share your lessons as PowerPoints using this resource. Consider using Slideshare’s Zipcast feature to schedule an online meeting. Vimeo (for Video) – Create a Vimeo account to house your screenshots. With Vimeo you can privatize videos so that they can only be accessed with a password. The Flipped Class Network – This site is a professional learning community for teachers using vodcasting in the classroom. USM Flipped Classroom – On this Google Site, the Electric Educator, John Sowash provides resources for flipping the classroom as part of a workshop for teachers. 15 Schools Using Flipped Classrooms Right Now – In this article, Jeff Dunn writes for Edudemic about 15 schools that are currently implementing some form of the flipped classroom model. Click on the links about these schools to learn more. NYT: The Learning Network. Dec 12, 2011. The Innovative Educator. Oct 8, 2011. Khan Academy : My Final Remarks. The Daily Riff. Nov 9, 2011. The November Learning Blog. Oct 18, 2011. Hack Education. Nov 17, 2010. Hack Education. Nov 4, 2011. The Flipped Classroom Model: A Full Picture. User-Generated Education. Jun 13, 2011. Generation YES Blog. Apr 2, 2011. Khan Academy is an Indictment of Education. The Telegraph. Sep 12, 2010. Hack Education. Jul 19, 2011. I hadn’t yet read that quote by Meech yet, so I’m glad that you included it in this article. Also, thank you for providing such a large number of online resources. What a great post for teachers who want to implement the flipped classroom model but who aren’t sure quite how to get started. At Laying the Foundation, we recently added a new blog to our repertoire of online resources. Two of our trainers decided to flip their classrooms this year, and they’re blogging about their experiences in a Flipping the Classroom Blog, which can be found at http://www.ltftraining.org/TeachingCommunity/FlippingtheClassroomBlog.aspx. It’s been interesting to see how they’ve overcome some implementation challenges so far!